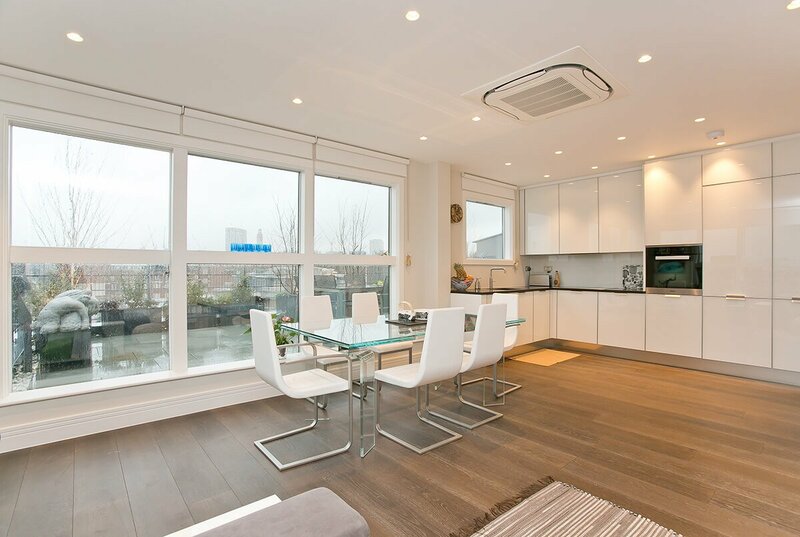 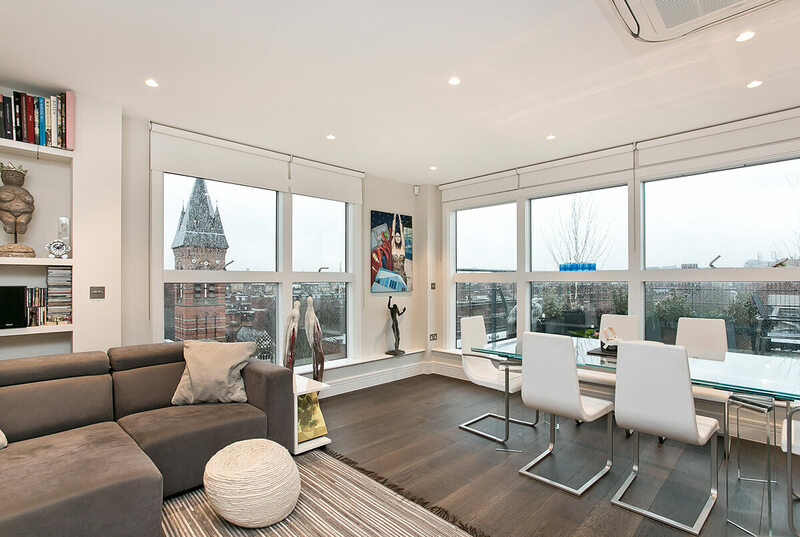 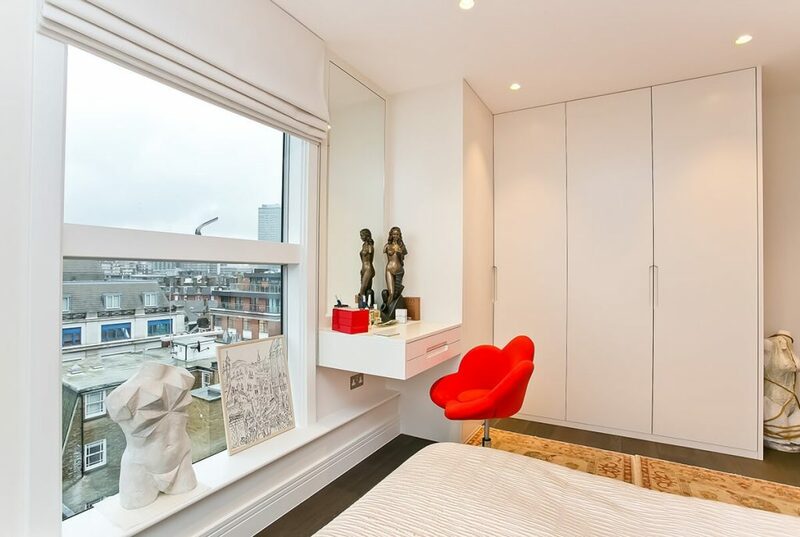 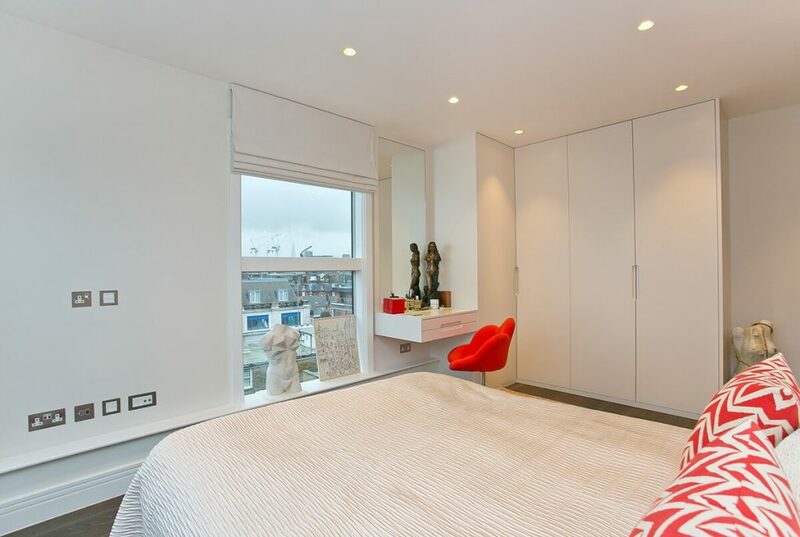 The project consisted of design and complete renovation of this spacious penthouse located in a modern building in Pimlico. 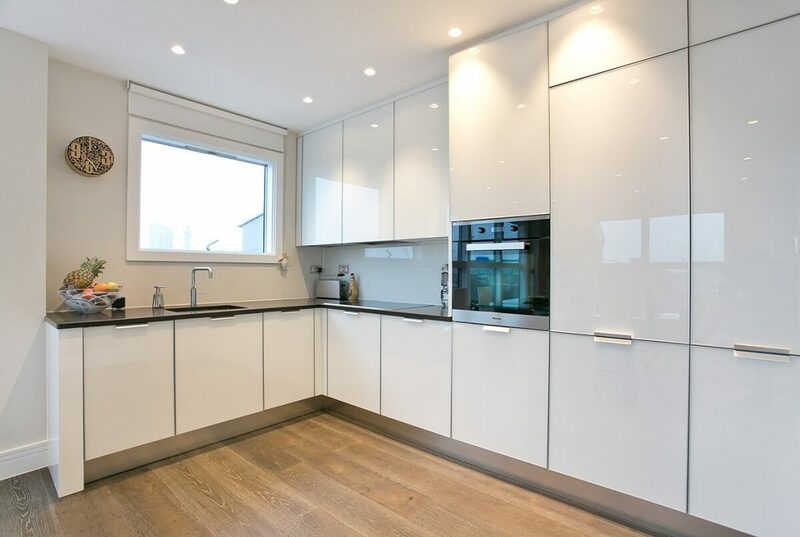 Completed with minimalistic and white décor throughout, with Italian Kitchen to match the sophisticated and minimal look. 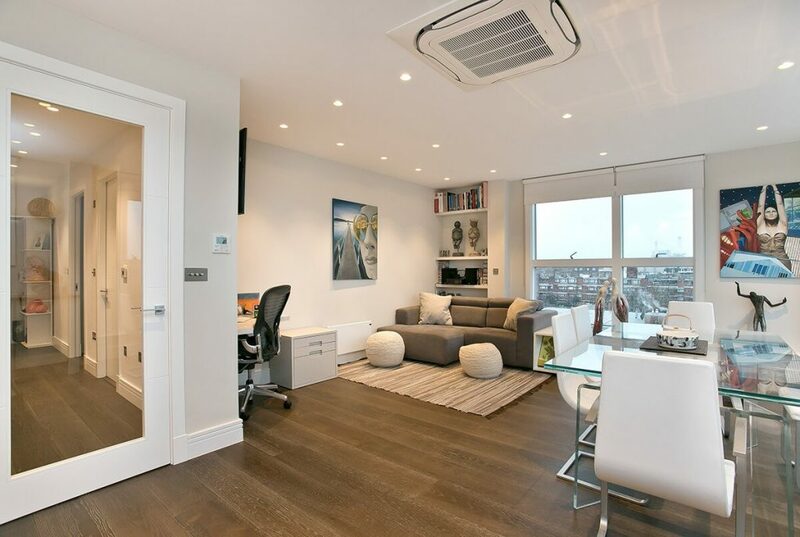 Modern air conditioning units installed in each room keeping with the white theme and freeing up wall space. 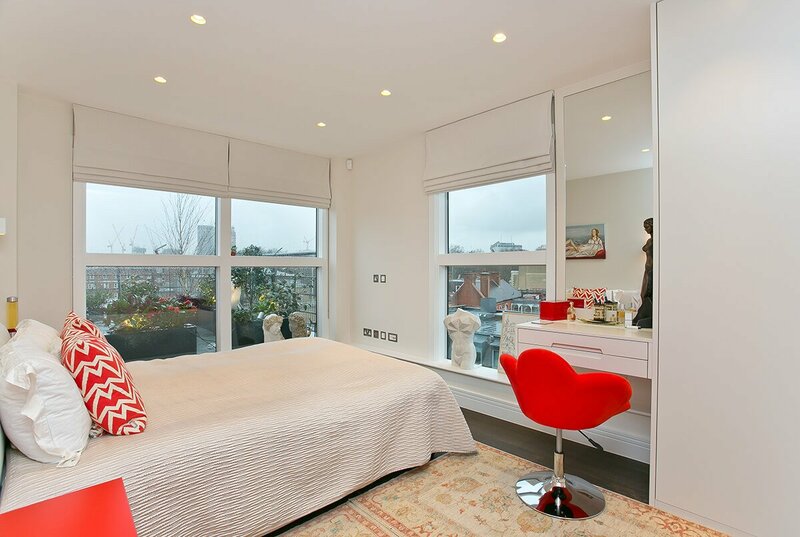 Exceptional bespoke built in furniture was finished to our client’s precise requirements. 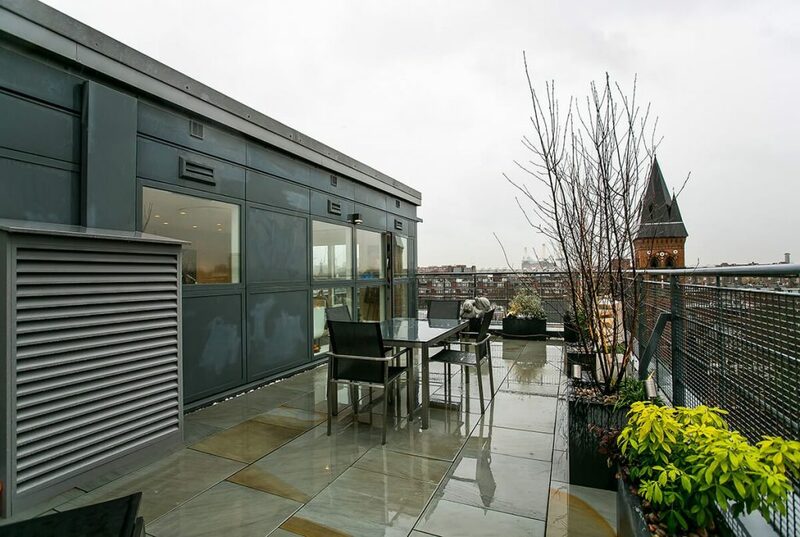 Finally, the properties generous terrace was redecorated with contemporary stone slabs providing a stylish space from where the spectacular London views could be enjoyed. 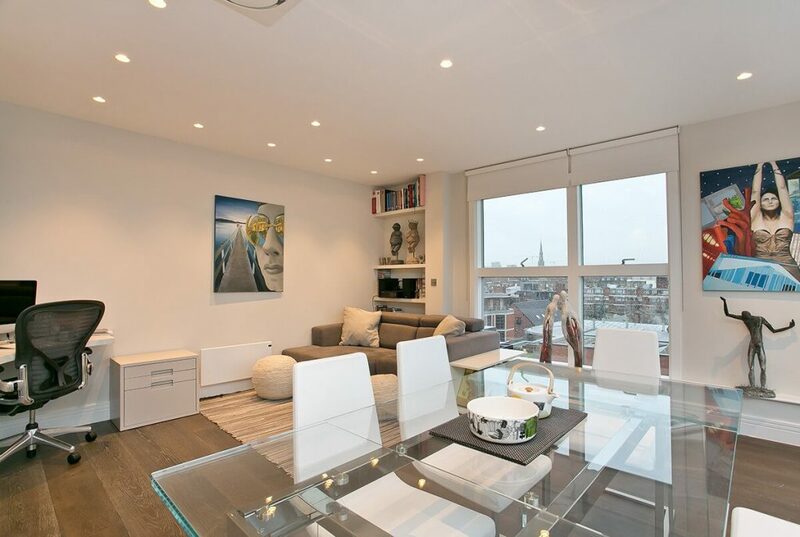 Our client was based abroad for the duration of the refurbishment, which meant TEMZA was fully responsible for the management and logistics of the project in a fully occupied apartment complex. 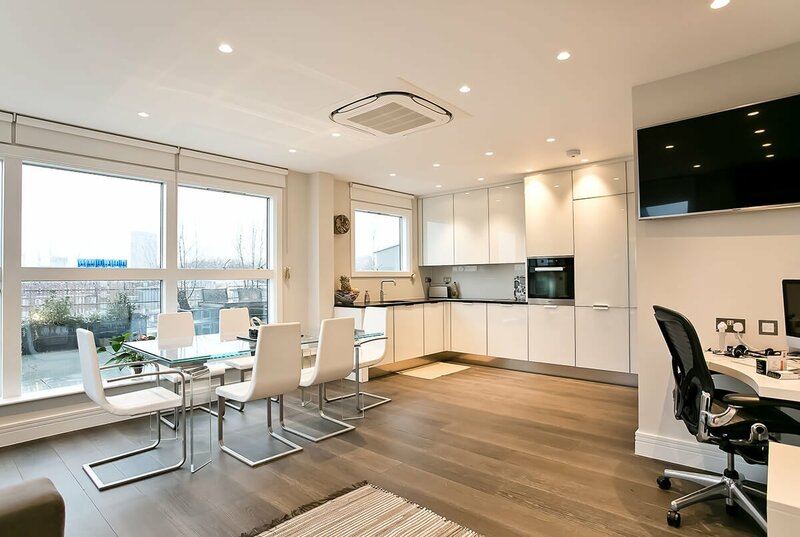 Good communication between the client and our team was crucial and TEMZA delivered a magnificent family home within the client’s tight schedule.